Extra Curricular is a brand new New Zealand publication dedicated to showcasing people who do interesting creative projects in their spare time as well as encouraging those who wish they did. Whether they have a 9-5 job, a fledgling business or a young family, the people profiled in Extra Curricular are connected by their passion for keeping the right side of the brain active in their off-hours. They do it for the love of it - driven by a creative urge, they stay up late and work weekends in order to complete their latest side project, whether that’s a new T-shirt design, vandalising an old landscape print or embroidering a picture of Helen Clark. 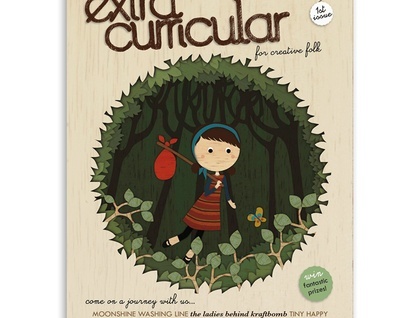 Extra Curricular is printed in full colour on beautiful 100% recycled FSC certified stock, with the first issue launching on November 19th.